Anytime and Anywhere,Cast a birth chart. 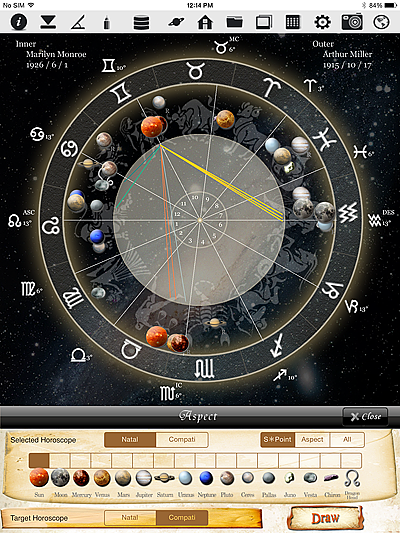 New Style of Astrology begins from 'horoscope JIKU'. The App is Astrology App for Astrologers on iPad,iPhone,Android. 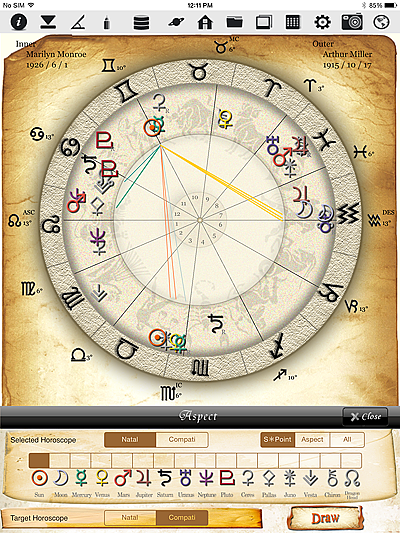 It is displayed a horoscope with the selected aspect line, only certain sensitive points, only particular aspect, all aspect, in Natal, Compatible/Transit, Progress. Orb of each aspect can be set on a setting view. 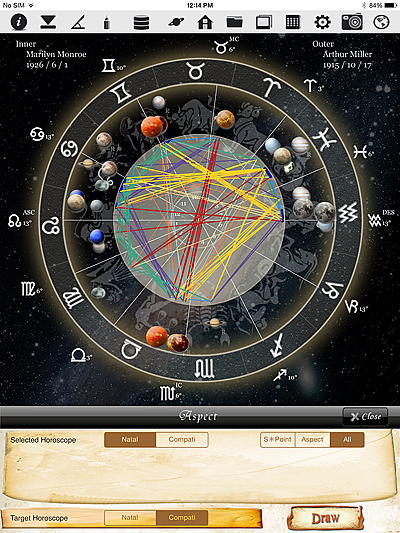 The SUN of Natal is connected with other sensitive points of Natal making aspect in lines. The sensitive points of Natal is connected with other sensitive points of Natal making aspect of Square in the line. 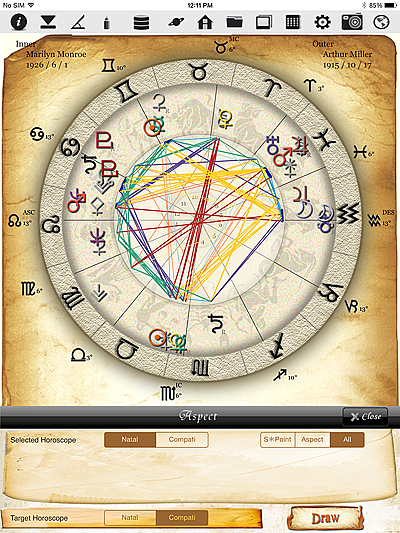 The all aspect that sensitive points make in Natal horoscope is draw the lines.